The idea of buying your first home can be intoxicating and intimidating at the same time. You are embarking on a journey down an unfamiliar road, so the first consideration is what you can afford to spend on a house. What savings do I have available for a down payment? 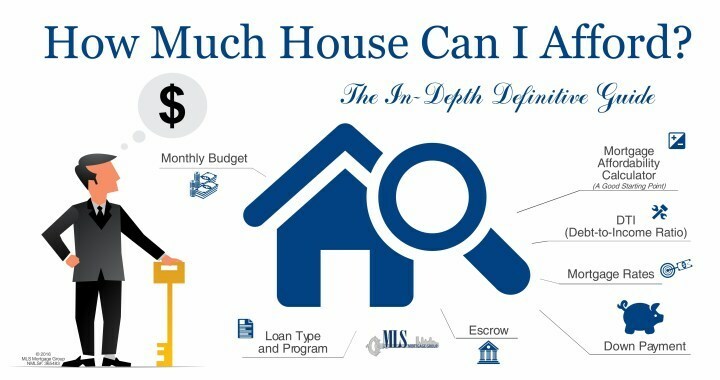 How do I plan to cover other expenses such as the earnest money deposit and closing costs? The rule of thumb for monthly payments is that they shouldn't exceed 25 to 30 percent of your monthly gross income. Monthly payments include your mortgage principal and interest, real estate taxes, mortgage insurance, and homeowners' insurance, so be sure to include these if you are running your own numbers. As for down payments, they range from nothing to 20 percent or more, with most buyers falling in between these two extremes. Here are some other useful percentages: your total housing costs shouldn't consume more than 32 percent of your gross monthly income. When you've been renting, it has been easy to underestimate the ongoing costs involved in homeownership, which range from simple and fairly inexpensive matters such as calling the plumber to unclog your sink to the budget-busting cost of putting on a new roof. And, your total debt load—including car loans, student loans, credit card debt, etc.—shouldn't exceed 40 percent of your gross monthly income. These are important numbers, because they are the ones that lenders will come up with when you start asking about getting pre-approved for a mortgage. A mortgage pre-approval means that a lender has checked you out and made a commitment to offer you a mortgage for a certain amount based on your financial situation.